Shereen Carbon, 11, of the Ebenezer Seventh Day Adventist Primary School won the 2018 Kweyol Spelling Bee competition last week, Wednesday 16 May 2018 at the Alliance Francaise on Valley Road, Bath Estate. Rielle LeBlanc of the Penville Primary School was second while Hannah Harve of the Goodwill Primary School was third. 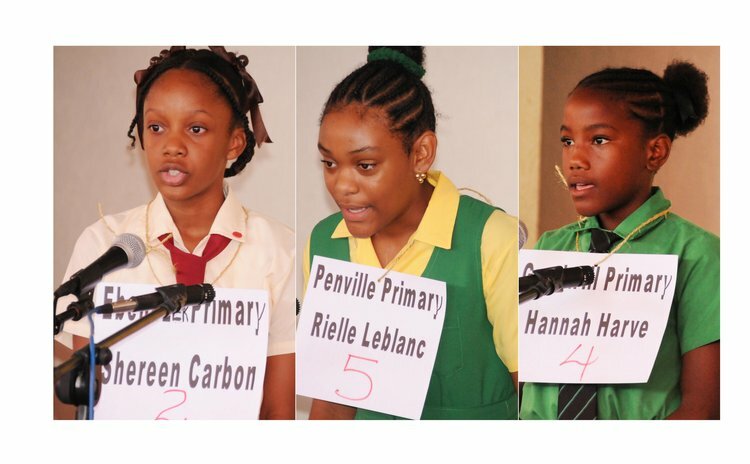 Cultural officers believe the promotion of the Creole language among the island's young people through the annual Creole Spelling Bee Competition is one way of preserving the traditional language. Raymond Lawrence, the Chief Cultural Officer, said one of the critical steps to the preservation of the Creole language is its introduction as a subject in schools. Lawrence believes Creole is also important when we consider our links with Guadeloupe, Martinique and Haiti. Nevertheless, Creole is still not accepted by the House of Assembly in Dominica. There were no male pupils among the six primary schools that participated in this year's competition. The schools were: Salybia, Ebenezer, Tete Morne, Goodwill, Penville and Roosevelt Douglas.